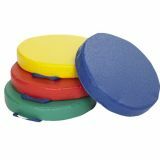 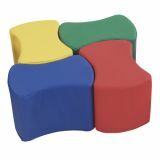 A comfortable and fun alternative to sitting on the floor! 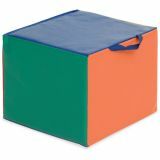 Brightly colored, lightweight cubes include an attached handle for easy transport from room to room. 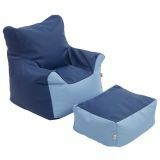 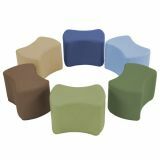 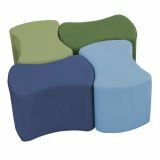 16"L x 16"W x 12"H.
A comfortable and fun alternative to sitting on the floor! 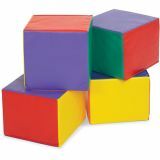 Carry the lightweight cubes using the attached handle. 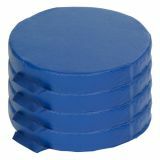 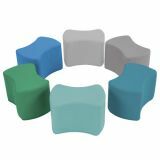 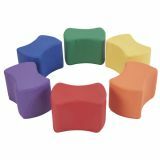 Set of 4 brightly coloured cubes. 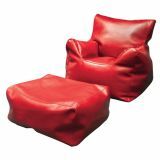 12" x 12" x 91⁄2".